Many people are attracted to Three for a great phone deal as its range of phones it deals in is very large and includes all of the best Apple and Android flagships. What follows here are the best Three mobile deals available today. 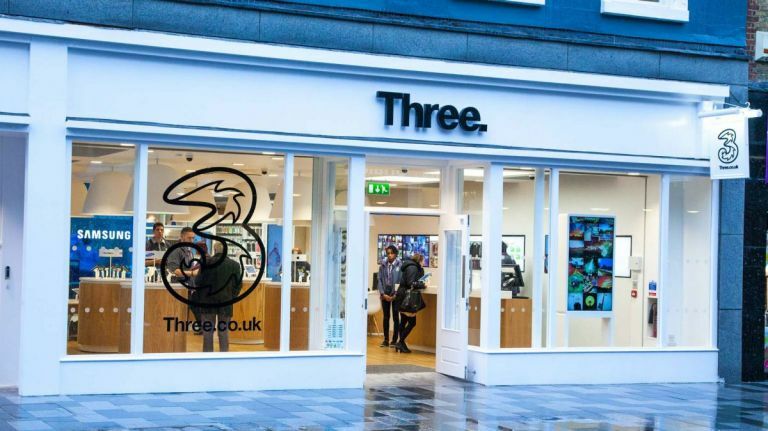 If you already have a handset you’re happy with and you’re out of contract or just need a new SIM that’s kinder on the bank balance, then be sure to check out Three's SIM-only deals. Three is a popular choice for commuters and tourists in London, too, due to their partnership with Virgin they offer free Wi-Fi at all underground platforms, entrances and escalators. Oh, and Three also offers free phone use abroad in over 19 different countries, so if you travel a lot Three could be the best network provider for you. If you're considering switching to Three or are looking for a new phone we have the best deals split by the best selling handsets below, handsets that include the Samsung Galaxy S9, Sony Xperia XZ2, and Huawei P20 Pro. There's also some absolutely cracking deals on Apple's iPhone range of phones, with the iPhone 6S, iPhone 7, iPhone 8, and even flagship iPhone X getting hefty discounts.